In gleaming taffeta, this long formal dress is simply elegant for prom 2019, a black-tie gala, or fancy wedding reception. 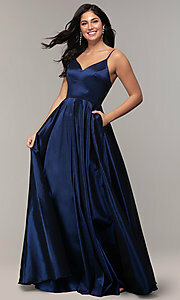 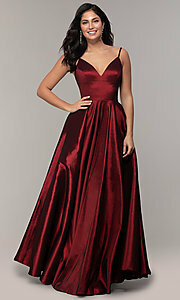 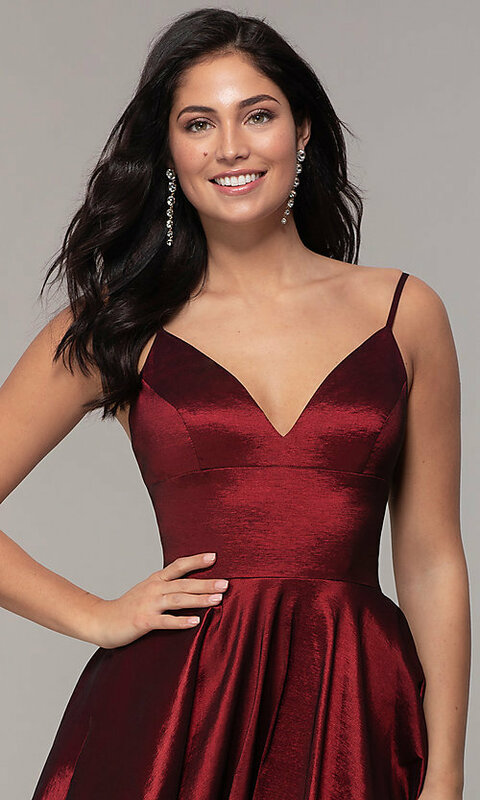 Available in misses and plus sizes, the elegant evening gown has a fitted v-neck bodice with thin spaghetti straps that drape over the shoulders to attach at the square back. 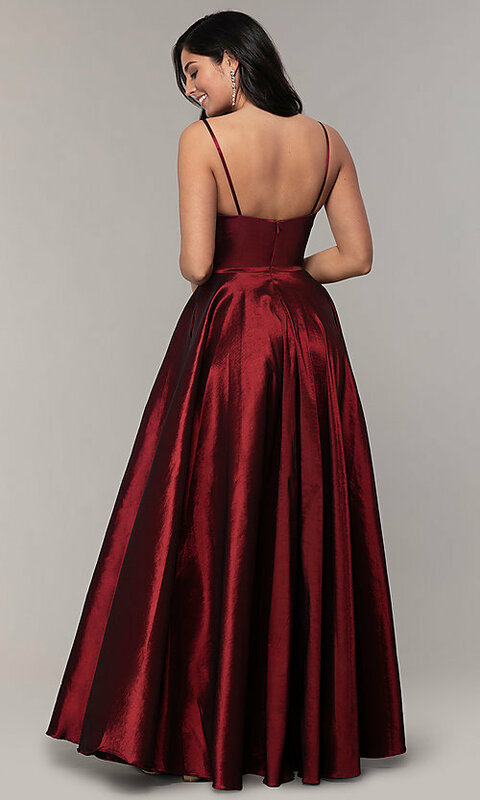 Fully-lined in soft satin, the long a-line taffeta skirt gathers at the banded natural waistline before flaring away from the hips and flowing to the floor. Side pockets add a convenient detail to the figure-flattering long formal dress, under $200, that fuses classic style with glamorous details.